Keeping warm in later lifeKeeping warm in later life research project (KWILLT).Your views on keeping warm at homeKeeping warm in later life (KWILT) research project survey. NHS Rotherham is undertaking a research project to find out what helps and prevents older people in Rotherham from keeping warm in winter. The Keeping Warm in Later Life ProjecT (KWILLT) involves interviews with older residents and a range of health and social care staff. So far the results are showing two major influences are social relationships and interaction with modern technology. The social relationships older people have with their immediate families, neighbours and communities are important. How well they connect with the other people and with information via the phone, the internet, as well as newspapers, magazines, radio and television have an effect on their ability to heat their homes and gain access to any help they need. The KWILLT study has found that many older people struggle with modern technology such as heating equipment as well as the use of Direct Debits and internet banking to pay their bills. The KWILLT project team will be conducting more face-to-face interviews with older people and the professionals who care for them during the coming winter months. For further information about this project visit the KWILLT section on the NHS Rotherham website. 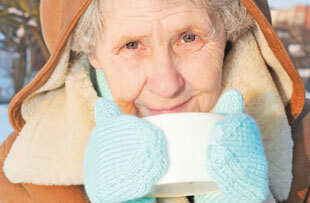 If you are experiencing problems with heating your home or need advise call The Energy Saving Trust on 0800 512012. © NHS Rotherham 2019, All rights reserved. NHS Rotherham, Oak House, Moorhead way, Bramley, Rotherham, S66 1YY, England.